She and I got on the topic of books and who our favourite British vs Canadian authors were. We decided at the end of the tour to exchange books. I gave her a copy of Margaret Lawrence’s The Diviners and she gave me a copy of Sebastian Faulks’ Birdsong. Faulks’ book had an incredible impact on me. Although fiction, it describes in horrifying detail the trench warfare of World War 1. I finished reading the book on a train to Toronto on the 10th day of November. Tears were flowing. The following day, I attended Remembrance Day ceremonies in a Toronto city park and for the first time, the names of battles on the park memorial – Ypres, Amiens, Vimy, Paschaendale – held meaning. 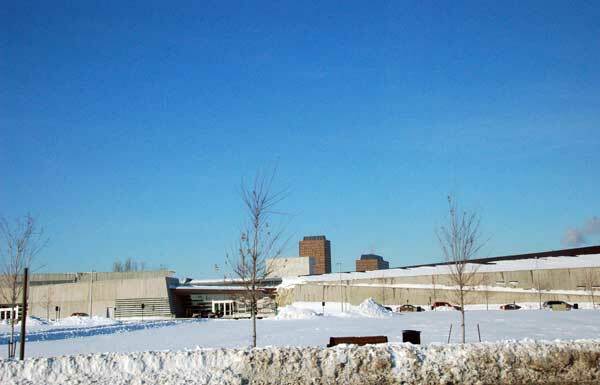 Canadian War Museum disappearing into the Ottawa winter landscape. My knowledge of the First World War however is really very little. I do know my grandmother’s only brother, Fred, died at Vimy Ridge along with 11,284 other soldiers. I don’t think anyone in our family has ever visited Fred’s grave but I would very much like to. A visit to the Canadian War Museum this past winter, a chance meeting with a woman from Flanders this week, and my purchase of a Remembrance poppy has reinforced that desire more than ever. The Canadian War Museum is a place that I think every Canadian should try to visit. And if you are worried the place is going to glorify war, don’t be. It speaks more to the horrors of the worst human kind. I was deeply moved by the stories, personal momentos and the art. Seeing the model of the National War Memorial was one of the many surprises. The museum opened in 2005 and is architecturally striking. Designed by Raymond Moriyama, some say it resembles a bunker. The place has a raw, unfinished feel to it. Its forms are angular and the exhibit spaces have an almost fragmented feel. Regeneration Hall, for example, is the highest point in the museum. This dramatic narrow space has huge angled walls that frame a tall narrow window with a view of the Peace Tower on Parliament Hill. The hall is meant to represent hope for a better future. Original Tomb of the Unknown Soldier. Memorial Hall holds the original tombstone of one of 6,486 unidentified Canadian soldiers left on the fields of France and Belgium. The unknown soldier was removed from his grave in Cabaret Rouge Cemetery, near Vimy, and re-buried in the Tomb of the Unknown Soldier at Canada’s National War Memorial in 2000. In Memorial Hall, there is a window placed at a point that, if the weather is clear at 11am on November 11th, a beam of sunlight will fall on the tombstone. I was curious to find out the origins of the Remembrance poppy. With a little research, I learned that they were the first wildflowers to grow on the scarred and churned Flanders soil where so many war dead were hastily laid to rest. In 1915, the poppies inspired hope in John McCrae, a Canadian Lieutenant Colonel, and he wrote his famous poem, In Flanders Fields. The Lieutenant Colonel grew up in Guelph, Ontario, and today his former home, McCrae House, is a museum which interprets his life as a doctor, soldier and author of In Flanders Fields. Every spring, McCrae House hosts the “Poppy Push Plant Sale”, an annual fundraiser. Several varieties of poppies are sold from the museum’s historic gardens including the “Flanders” corn poppy. As I wear my poppy this week, I will think of Fred and of all the other young Canadian men and women who have lost their lives to the horrors of war. Just wanted to say I thoroughly enjoyed your very moving story and relections. We must have been sharing more of cyberspace than usual recently. I sold a Canadian War Museum story with pix last week about the Canadian War Museum, and it’s impact on me as a Royal Naval officer’s daughter. In addition to the haunting Hall of Remembrance,and the servicemen honoured, I paused to think of the women and children depicted in the museum. A beautifully moving post. Thank you for helping us all remember. Thanks for sharing this article…my grandfather also died at Vimy Ridge and I made a pilgrimage to the battle field, trenches and monument in France which was very moving. 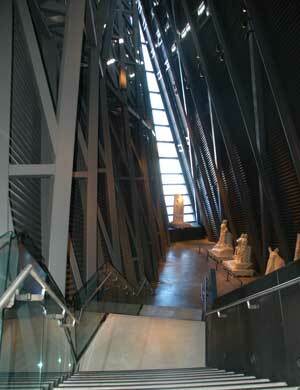 In my opinion, the Canadian War Museuam is one of Canada’s top museums. I agree. It is one of Canada’s best. 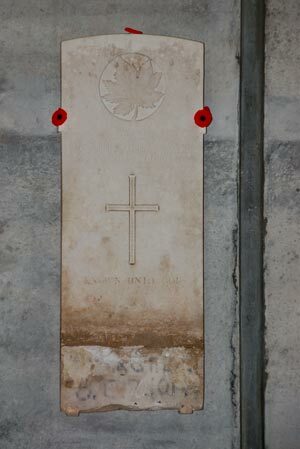 Would love to visit Vimy and pay my respects to my gram’s only brother. What a special and moving post. I’m impressed by your description of the Canadian War Museum. It sounds as though the exhibits gives honor to the service people and civilians affected by war while honestly depicting the horrors of war. As an American, I would like to visit there, too.